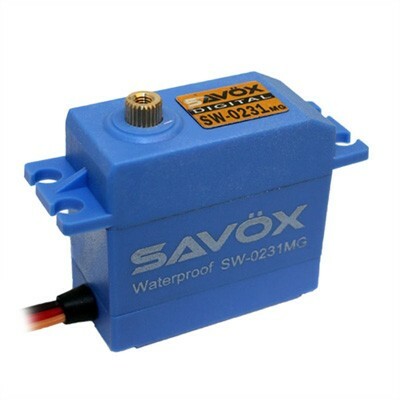 The SW-0231MG is a budget friendly waterproof digital servo with great torque for many applications. This brushed servo features a speed of 0.17 and 208.3 oz-in of torque 6.0V. It combines leading edge technology with super high 12-bit (4096) resolution and metal gears for your greater precision when dodging puddles. This is a great upgrade if your looking to drive your RC vehicle in any condition...rain, sleet, or snow.